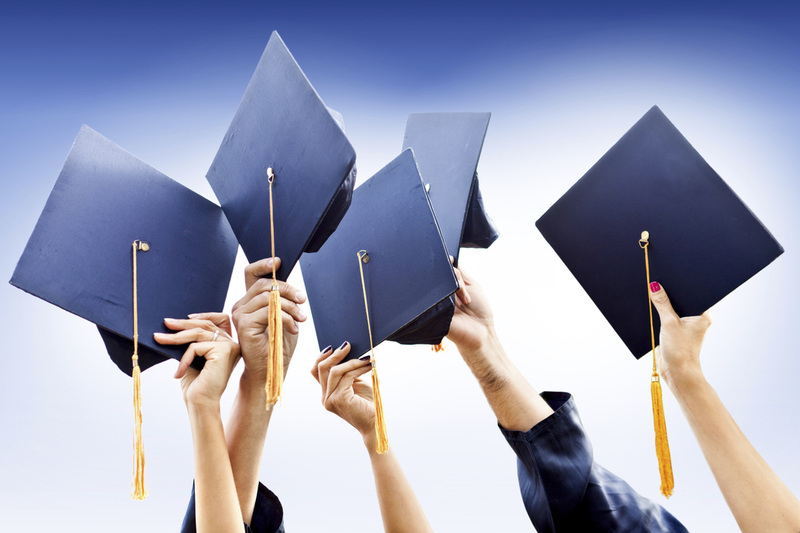 Class ranking shall be determined by the cumulative grade point average of graduating seniors at the completion of four years of high school. The grade point average shall be determined by use of a four point system for grades earned: A=4, B=3, C=2, D=1, F=0. 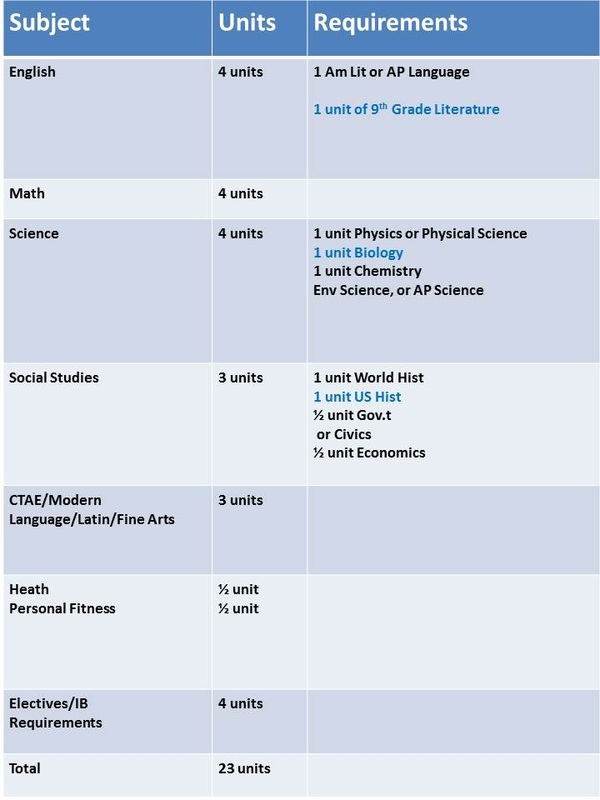 Only completed Advanced placement courses and International Baccalaureate Diploma Program courses earn one additional point for passing grades: A=5, B=4, C=3, D=2, F=0. Graduation RequirementsMarietta High School (MHS) students allowed to graduate or participate in graduation ceremonies must meet the following three criteria: a) meet the school system’s attendance requirement, b) earned the school system’s required units of credit, and c) passed all sections of the state assessment requirements. † All students must take at least one year of Fine Arts,or one year of MYP Technology,in each of the 9th and 10th grades for International Baccalaureate Middle Years Program. All students must take a Modern Language course in each of 9th and 10th grades for International Baccalaureate Middle Years Program. †† All students who entered ninth grade in and after the 2012-2013 school year, must take at least one semester (.5) of a course delivered in an online platform. Courses can be taken independently during non-school hours or during school hours on campus. * Courses successfully completed may not be repeated. ** Students planning to enter or transfer to a University System of Georgia institution or other post-secondary institution must take a minimum of 2 units of the same modern language or Latin. Georgia Department of Technical and Adult Education (DTAE) institutions (Georgia System of Technical Colleges) do not require modern language or Latin for admissions. *** CTAE Pathways – 3 units in an industry-validated pathway are required for any student planning to earn a Career Readiness Certificate endorsed by related industries.